Deliver a sophisticated, elegant look to your property with high quality glass fencing. 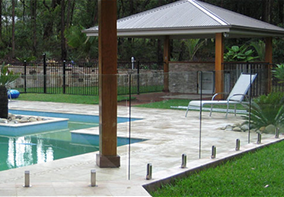 We specialize in the design, supply and installation of glass fencing. We can tailor make frameless or semi-frameless glass fences to complement and enhance any property. Our extensive knowledge and experience in the industry ensures you receive only the highest standard of workmanship, as well as competitive, affordable prices. Our fences are durable and stylish, and are a great investment in the value of your property. 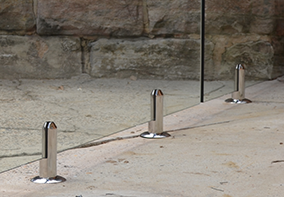 Check out our fantastic range of fittings available for your glass fencing. Add elegance and sophistication to your property today with glass gates. We offer Frameless and Semi-Framless glass in a range of unique designs. Learn from the experts on Glass Fencing by reading our articles. Why do we recommend glass fencing? 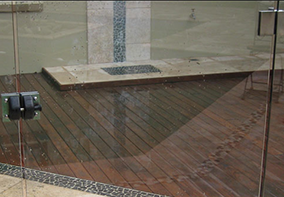 Have you been wondering how to keep your glass fence or balustrade clean?